All 32 of the medical cannabis dispensaries approved by Arkansas regulators in early January to begin selling medical-grade marijuana across the state have paid the $15,000 licensing fee and posted the necessary $100,000 performance bond in hopes of starting business by early April, state officials said Tuesday (Feb. 5). “With this complete, our focus now moves to the Feb. 13 meeting at which the state (Medical Marijuana) Commission will review draft rules surrounding the transport of medical marijuana,” said Department of Financial & Administration spokesman Scott Hardin, media liaison for the five-person, quasi-state agency that regulates the state’s fledgling medical marijuana industry. Hardin also said the Arkansas Beverage Control Board’s (ABC) Enforcement Division continues to investigate protest letters received by the MMC concerning cultivation facilities and dispensaries. He said ABC Director Doralee Chandler, who replaced former ABC Director Mary Robin Casteel in late 2018, will release decisions on possible violations as those investigations are completed. Last week, Chandler issued two final orders concerning Natural State Medicinals Cultivation of Little Rock and River Valley Relief Cultivation of Fort Smith regarding complaints that both growers had submitted applications to the MMC that violated state medical marijuana rules. In the case of Natural State, which had the top score of 486 under the commission’s 500-point scoring system, protesters alleged that company executives Joseph Courtright, Robert DeBin, and Kathryne Peck had provided “superfluous documents” that did not meet state residency requirements. 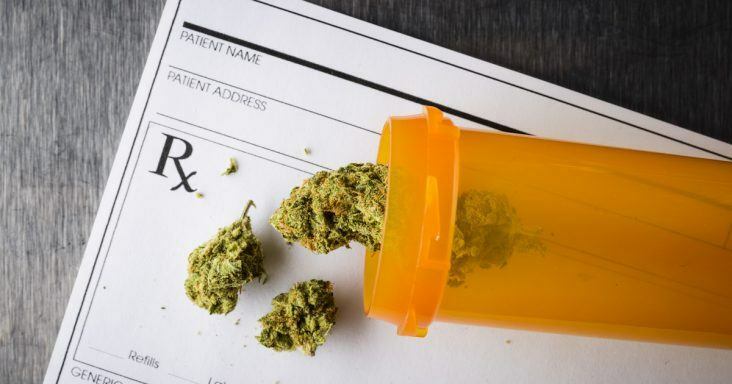 Before the complaint, company CEO Courtright said his startup firm’s partnership, which is affiliated with former USA Drug executive Stephen LaFrance, had paused construction plans for its Jefferson County location after a Pulaski County Circuit Court injunction halted the scoring and award of Arkansas’ first medical marijuana licenses in late March 2018. In Natural State’s matter before the MMC, Chandler dismissed that complaint Feb. 1 because ABC officials did not believe there was sufficient evidence that the NSMC executive team provided false or misleading information on the startup’s application. Courtright has said his company hopes to have local cannabis product available by April. Also, Natural State told the Commission that plans are in place to develop up to 15 strains of medical marijuana and produce over 17,000 pounds of marijuana for medical use in the first year of operations. In the second year, he said, the White Hall facility hopes to ramp up to nearly 22,000 pounds of marijuana yield. For River Valley, complainants alleged in the ABC investigation that the blueprints for the Northwest Arkansas cultivator’s greenhouse did not meet state requirements to be located at least 3,000 feet away from a school, church or daycare facility. However, ABC also dismissed that charge, stating that because River Valley had not been awarded one of the five coveted cultivation licenses nearly a year ago that any findings would be premature. Closely related, the dispensaries that will process the homegrown marijuana sold on the shelf as cannabis products in Arkansas are rapidly moving ahead with construction of retail storefronts that are expected to begin holding grand openings in two months and full-fledged commercial activity by the summer, state officials said. If that April timetable is true, the first cannabis for medical use will be sold in Arkansas exactly 2-1/2 years after voters approved Amendment 98, the ballot issue in the November 2016 election that legalized medical marijuana in Arkansas. As of Jan. 31, the state Department of Health had certified nearly 7,004 patients who have at least one of the 18 medical conditions that qualify for treatment with medical marijuana. The department anticipates that it will begin to issue the medical marijuana cards to certified patients in mid-February. On the legislative front, there has been no real movement at the state Capitol to amend or correct any of the voluminous bills that were enacted into law in 2017 as part of the comprehensive medical marijuana legislation. Except for bills related to budget appropriations and Gov. Asa Hutchinson’s effort to streamline state government from 42 agencies to 15 cabinet-level departments, only one bill in the 2019 session has been filed related to medical marijuana. Rep. Doug House, R-North Little Rock, the chief architect of the state’s medical marijuana rules, has filed House Bill 1150 that would dramatically expand the current list of 18 qualifying medical conditions to 57. It would, however, remove glaucoma as one of the maladies that can be treated with Arkansas cannabis. That bill will come up in House Rules committee at noon on Wednesday. Below is the list, location (city), and respective zones for the 32 dispensaries that have been licensed by the state Medical Marijuana Commission to sell cannabis products in Arkansas to qualified patients.